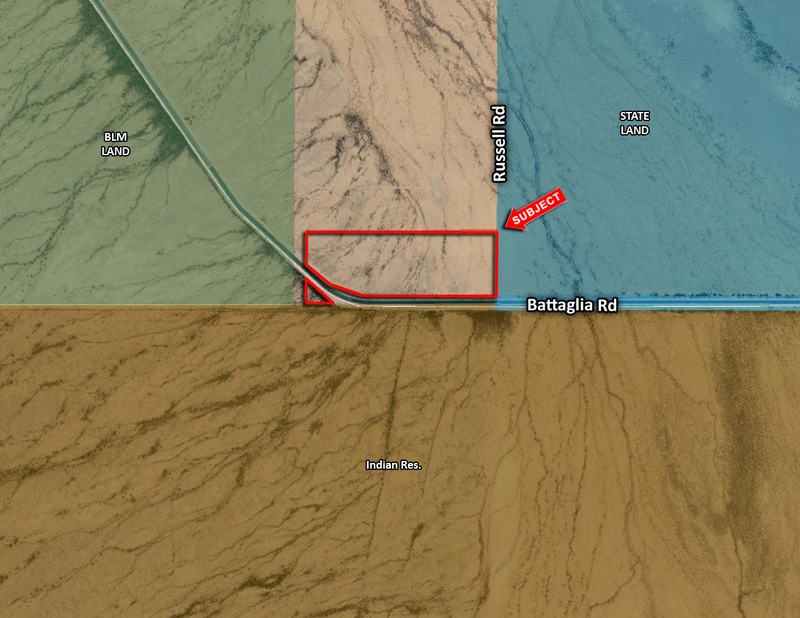 Subject property is located South of I-8 at the NWC Russell Road & Battaglia Road. Property borders State land to the East and BLM land to the West. Close proximity to the proposed Attesa Motorsports Park. Excellent investment or 1031 Exchange. Seller will consider a terms sale.